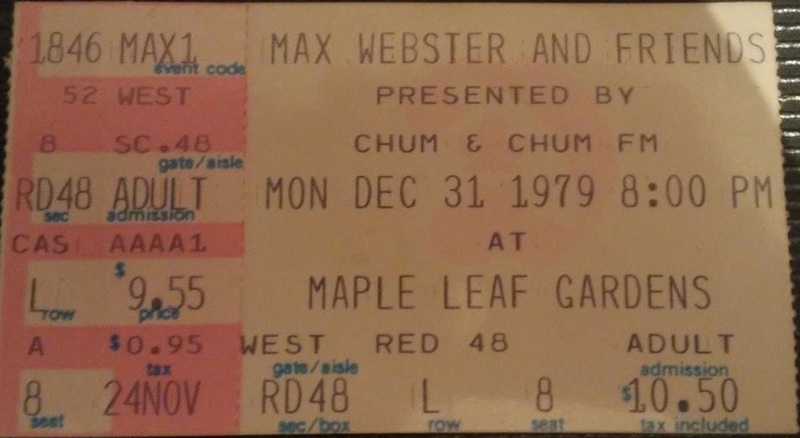 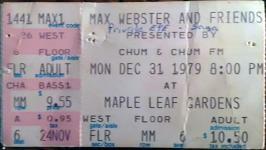 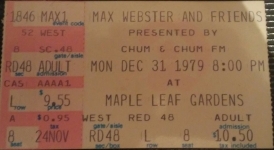 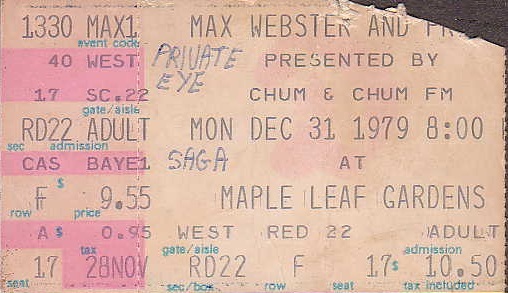 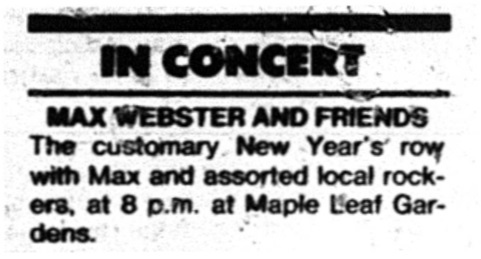 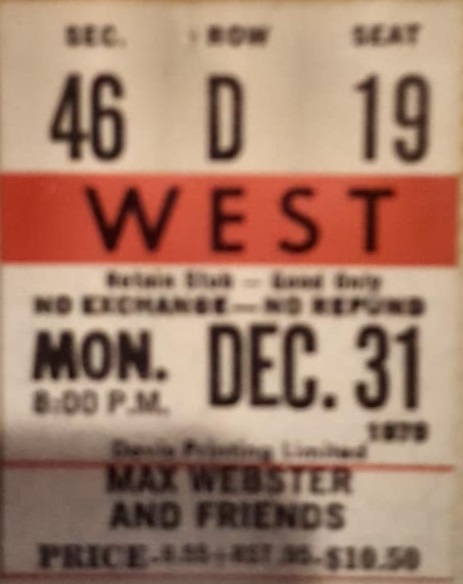 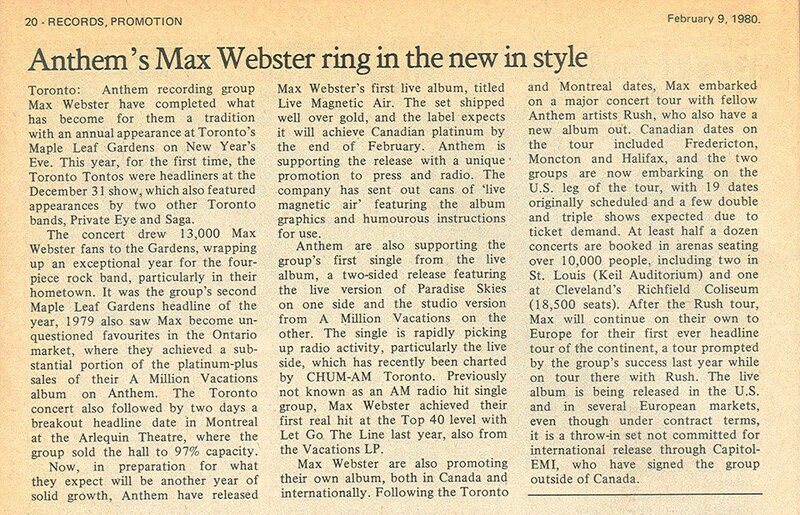 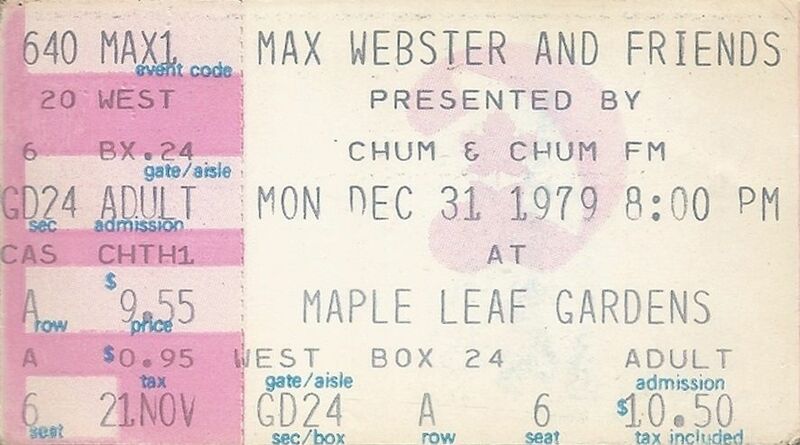 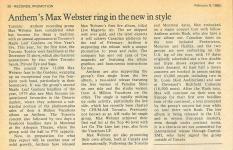 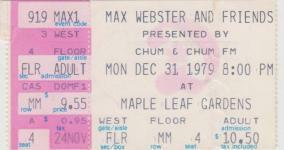 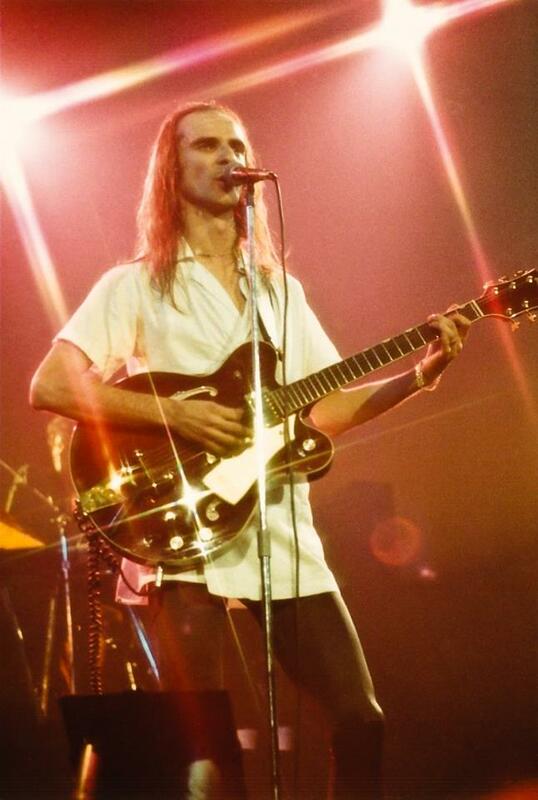 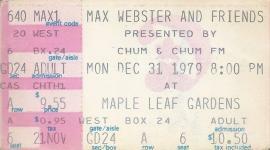 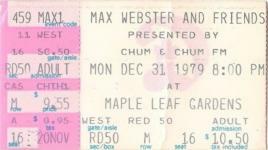 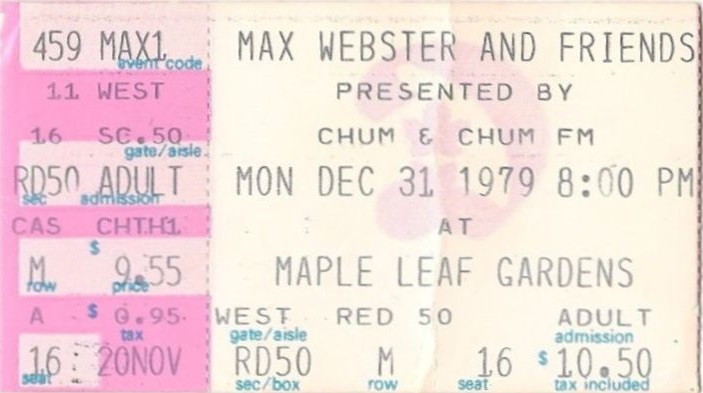 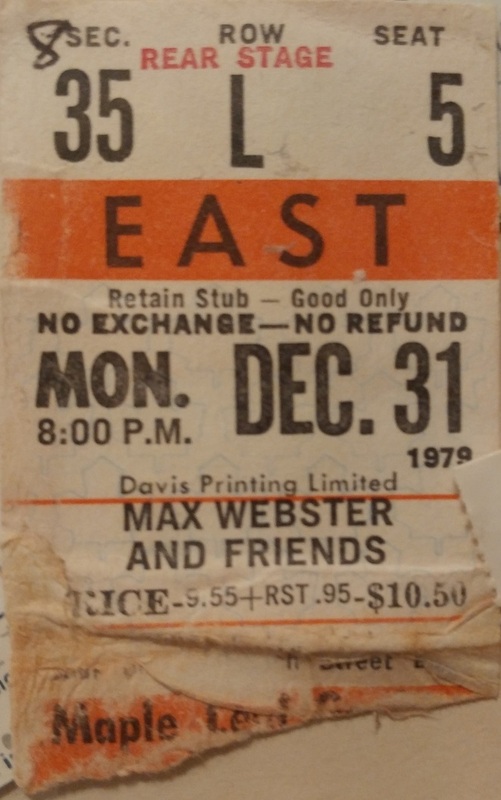 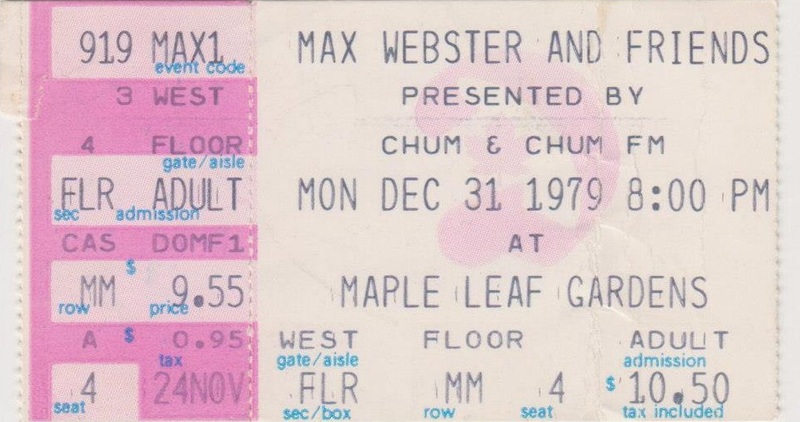 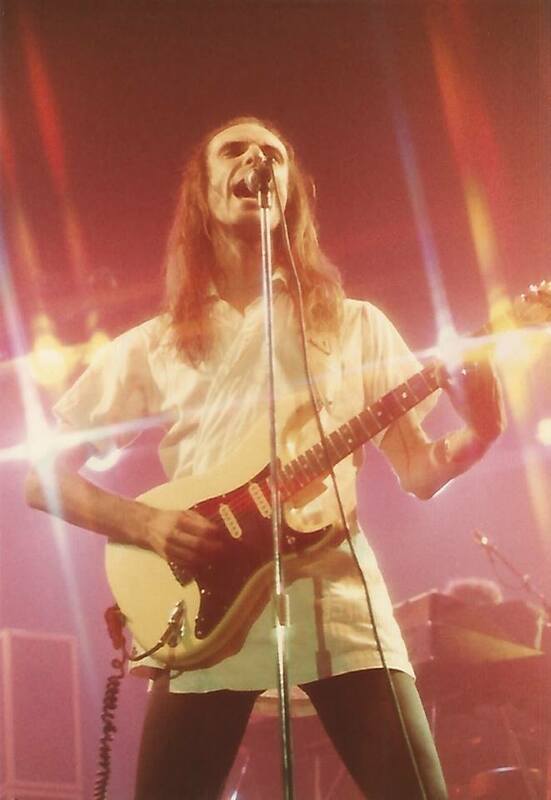 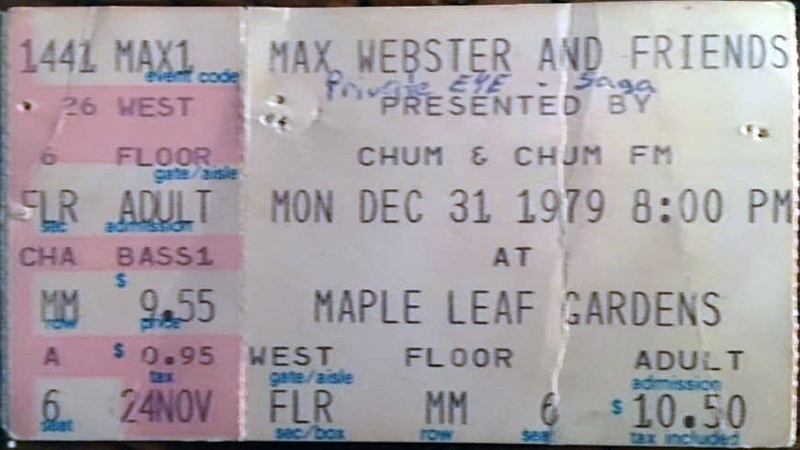 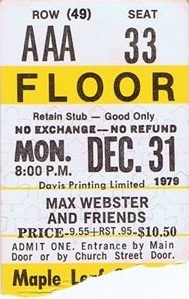 This is the first of two consecutive sold out New Year's Eve shows Max Webster would headline at Maple Leaf Gardens. 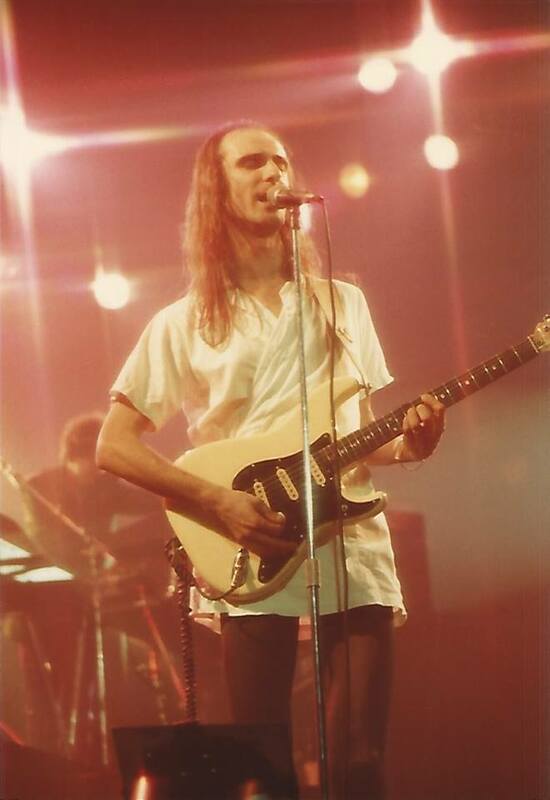 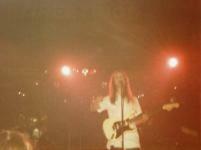 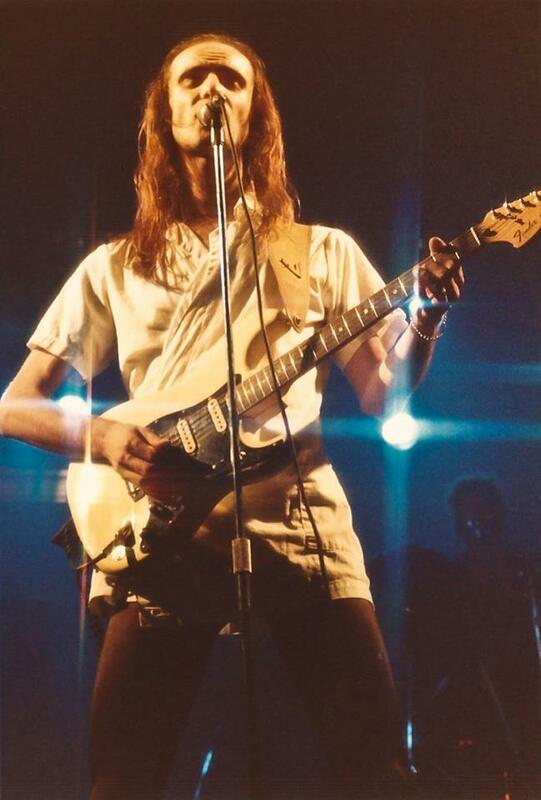 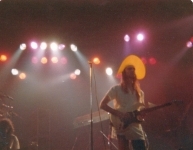 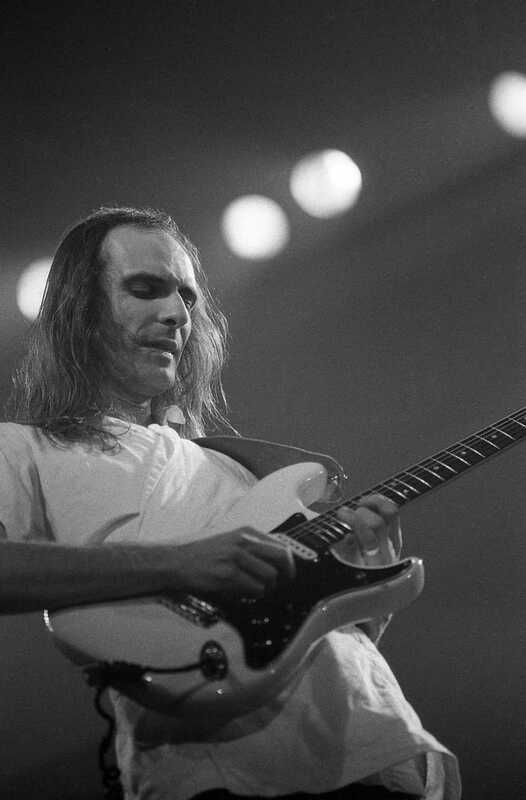 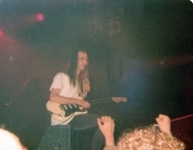 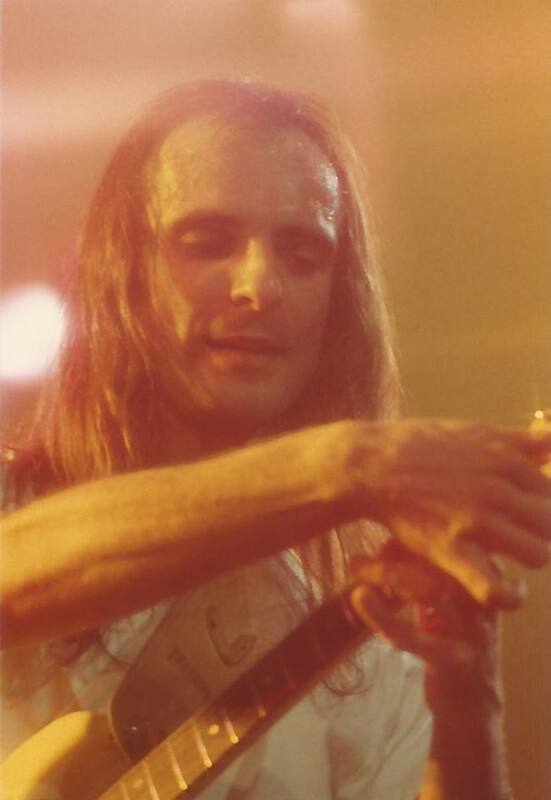 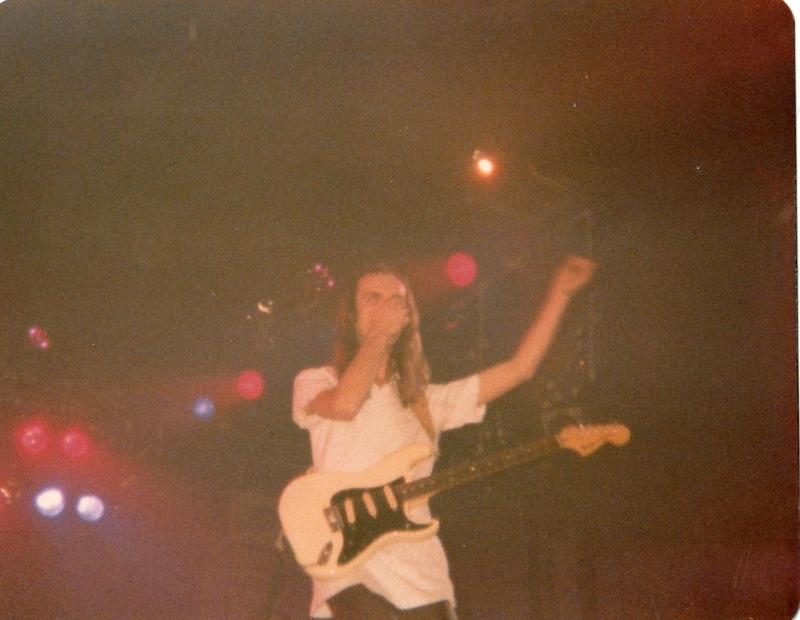 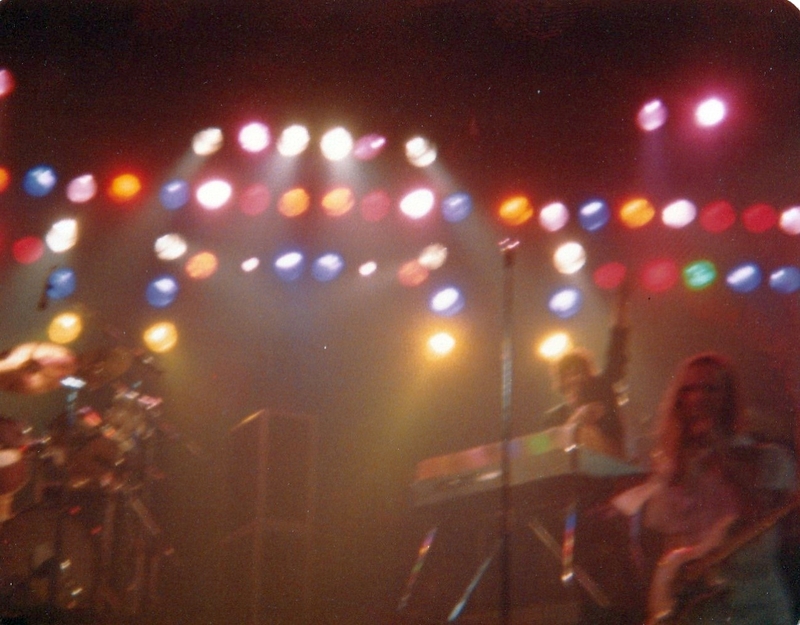 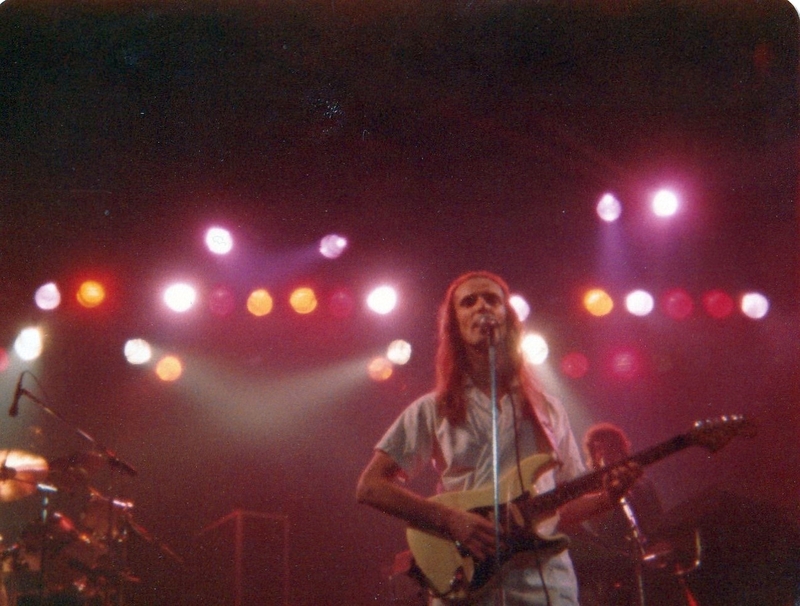 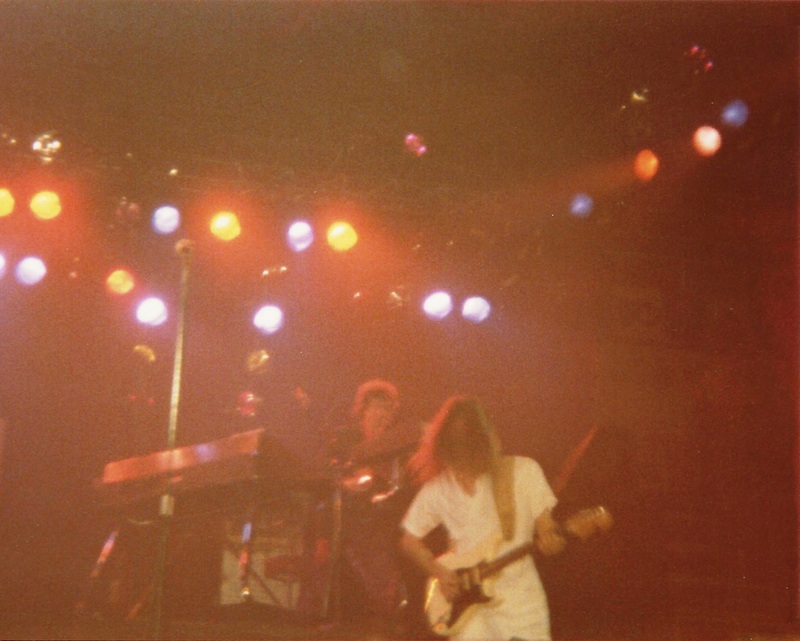 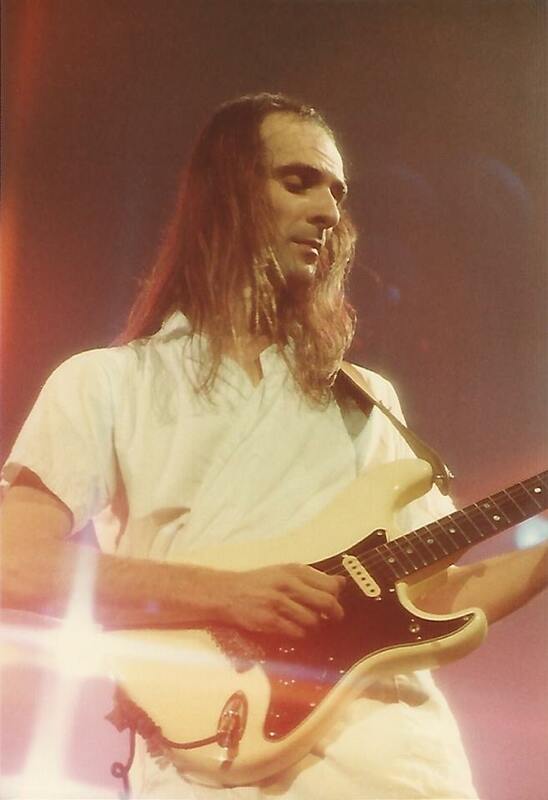 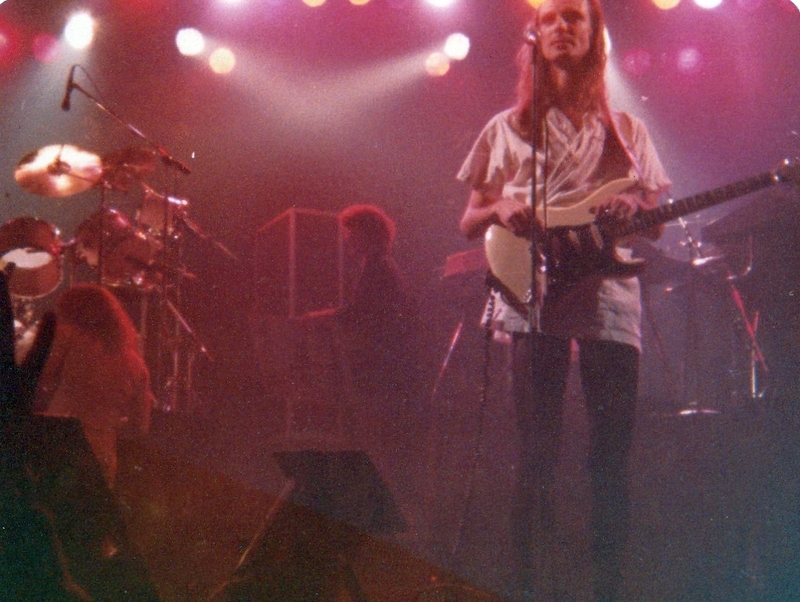 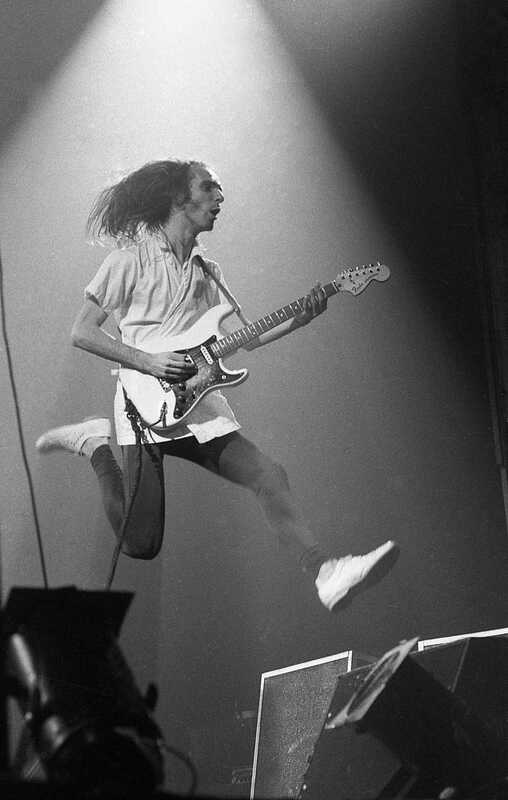 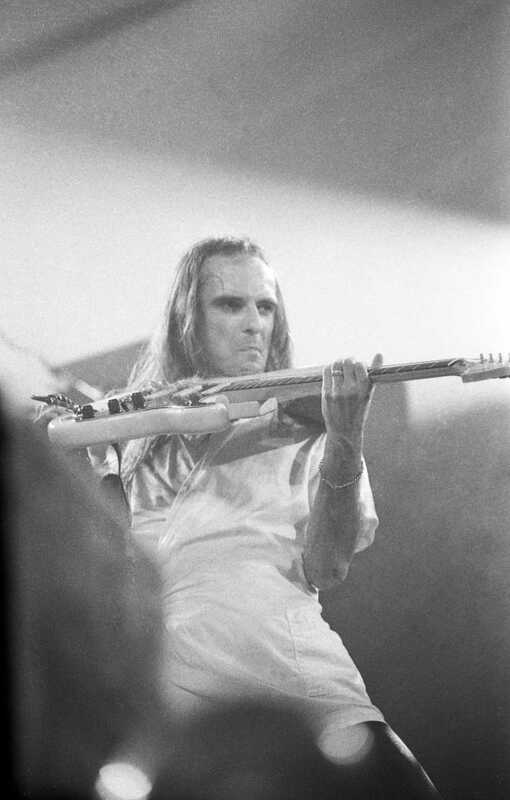 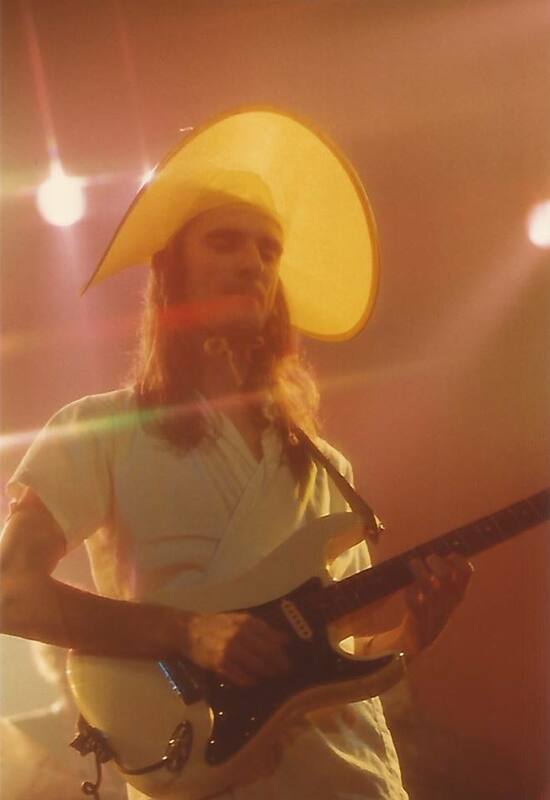 They are considered by many to be the pinnacle of the band's career. 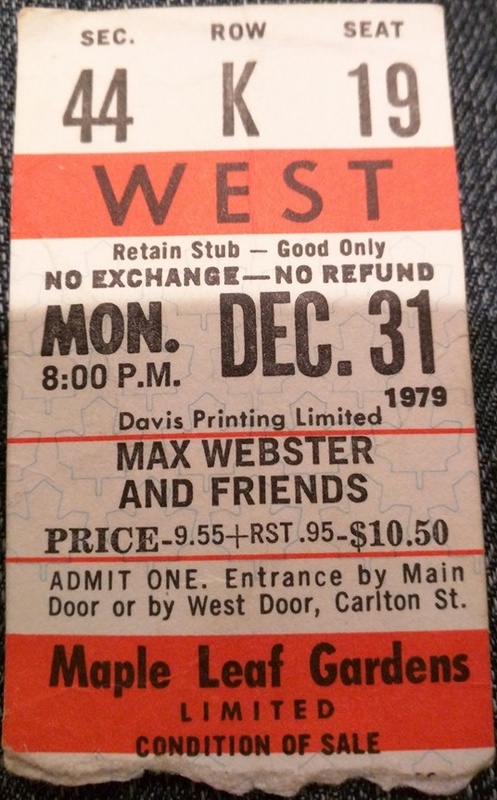 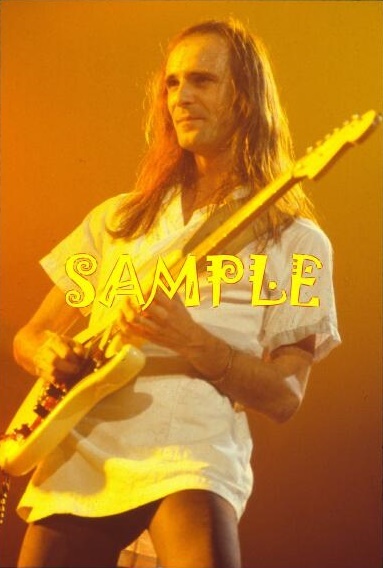 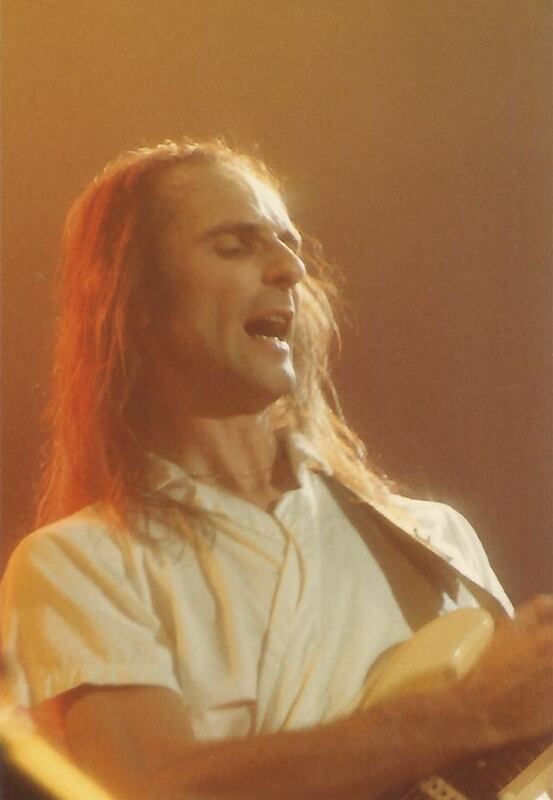 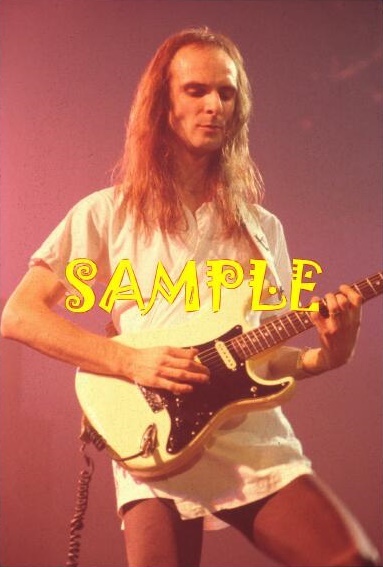 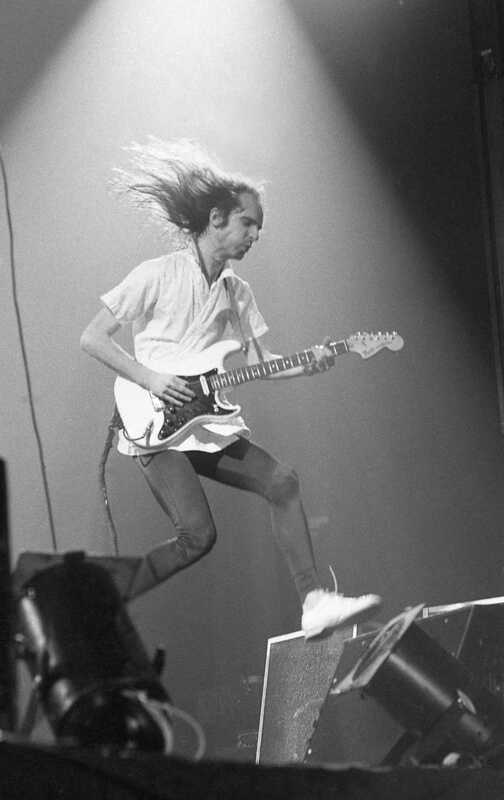 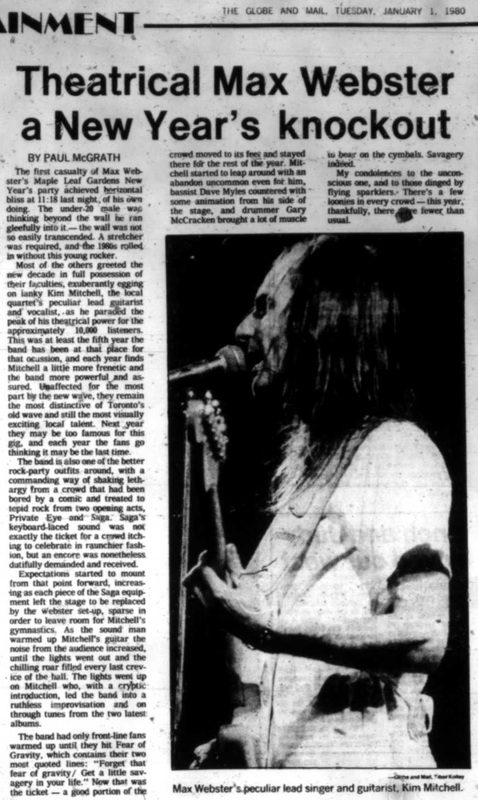 Comedian Bob Saget once remarked that he opened for Max Webster at Maple Leaf Gardens, and the Globe And Mail review below confirms that it was this night. 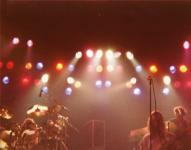 The first four photos are © Philip Kamin. Photos 7-14 were taken by Pete Dove. 15-23 were taken by Paul Whiteside.